Nizhyn Lyceum (Ніжинський or Безбородківський ліцей; Nizhynskyi or Bezborodkivskyi litsei). One of the older institutions of higher learning in Ukraine, located in Nizhyn. 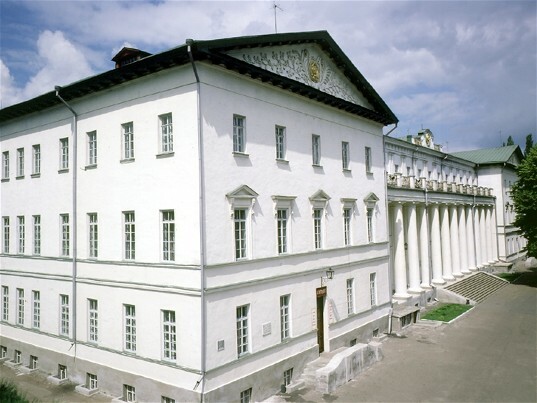 Founded as the Bezborodko Gymnasium of Higher Education in 1820 with an endowment of 210,000 rubles from Count I. Bezborodko, it emphasized humanities and was initially a gymnasium for the sons of the gentry. Its nine-year program offered a classical education with instruction in religion, classical and modern languages, geography, history, physics and mathematics, political economy, military science, and the arts. The first director was Vasyl Kukolnyk. By 1832 the gymnasium had graduated over 100 students, including the writers Nikolai Gogol and Yevhen Hrebinka and the jurist Vasyl Tarnovsky. 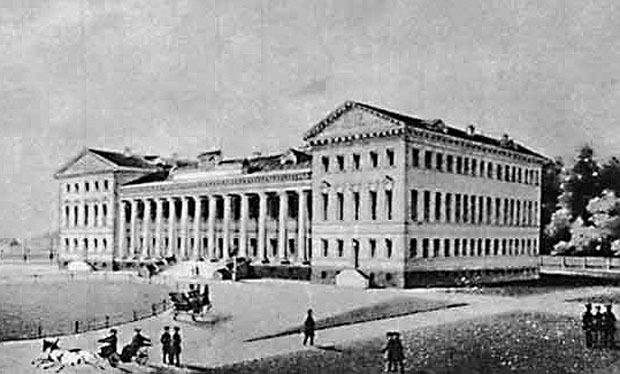 In 1832 the gymnasium was transformed into a technical (physico-mathematical) lyceum for the training of military officers, and in 1840 it became a law school preparing officials for the juridical bureaucracy. Its broad curriculum was replaced by a narrow one, and the general level of education fell. Nonetheless, in this period the lyceum graduated over 1,000 students, including Oleksander Lazarevsky and Leonid Hlibov. The school returned to prominence after 1875, when it was reorganized as the Prince Oleksander Bezborodko Historico-Philological Institute, named after the brother of its founder. The institute taught classical languages, Russian language, and history and prepared teachers for the secondary school system. The program also included courses in psychology and pedagogy. From 1876 to 1921 Izvestiia Istoriko-filologicheskogo instituta, which contained many original works on Ukrainian and general history by professors and students at the institute, was published there. The first rector of the institute was Nikolai Lavrovsky. Professors at the lyceum or institute included Nikolai Bunge, A. Lynnychenko, Pylyp Morachevsky, M. Grot, M. Sokolov, and Volodymyr Piskorsky. After the Revolution of 1917 the institute was transformed into the Nizhyn Institute of People's Education (1922) and then the Institute of Social Education (1930) before becoming the Nizhyn Pedagogical Institute in 1934, the Nizhyn State Pedagogical University in 1998, and finally the Nizhyn State University in 2004.